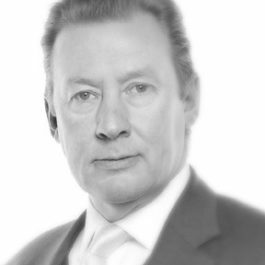 Hugh Barton joined Lincoln House Chambers in 2002 after he and his family relocated from London to the North West. He specialises in serious criminal work, with particular emphasis on defence work and civil actions against the police. He is generally accepted to be the leading barrister for Claimants in this area in the North. He is described recently by Chambers UK as having “highly sought after advocacy skills” and the ability “to really cross-examine”. Hugh was born in London in 1963 and was educated at Latymer Upper School in Hammersmith. He read English and Classics at Exeter University before working and travelling in Central America (at first with an International Brigade in Nicaragua and then on his own). On his return, he started working for solicitors in London. Firstly doing Criminal work with Hodge Jones and Allen and later doing civil work with Leigh Day and Co. He worked extensively with Martin Day on their ground breaking High Court litigation against British Nuclear Fuels. Over this period he completed the conversion course and then Bar Finals. Prior to his move North, Hugh practiced from Doughty Street Chambers in London. Initially he enjoyed a general common law practice which included crime, family, civil litigation and public law. But after about 5 years he began to specialise on criminal defence work, police actions, Human Rights and appellate miscarriage work (frequently pro-bono). He cut his teeth on Benn and others, then the longest ever VAT fraud prosecution which concluded in the House of Lords. He was soon being instructed for the defence in numerous murder trials at the Central Criminal Court. He advised and then acted in numerous Appeals in the Court of Appeal via the Criminal Cases Review Commission. He also developed an interest in pro-bono appeals to the Privy Council in capital murder cases from the Caribbean. After two days of legal argument a drugs conspiracy involving 9 defendants collapsed in Mold after Hugh Barton successfully argued that the entire proceedings were a nullity. "an advocate who cowers before neither opponent nor Bench, and is always ready to stand up and be counted in court." "An iron fist in a velvet glove, he adroitly adapts his manner to the necessities of the case. A good choice for those wanting someone who can take a tough stance." "...the best claimant Barrister in the North and respected for having a serious crime practice as well as acting in civil actions against the Police..."